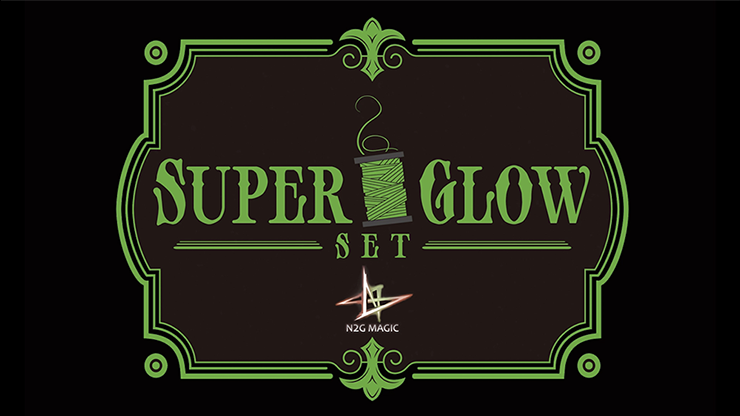 Today, when you order "SUPER GLOW SET (Gimmicks and Online Instructions) by N2G Magic", you'll instantly be emailed a Penguin Magic gift certificate. You can spend it on anything you like at Penguin, just like cash. Just complete your order as normal, and within seconds you'll get an email with your gift certificate. A beautiful glowing thread for the classic "Gypsy Thread" effect! Break the thread into many pieces, and the pieces magically are restored back into one long thread. This thread breaks easily - not painful for your hands! 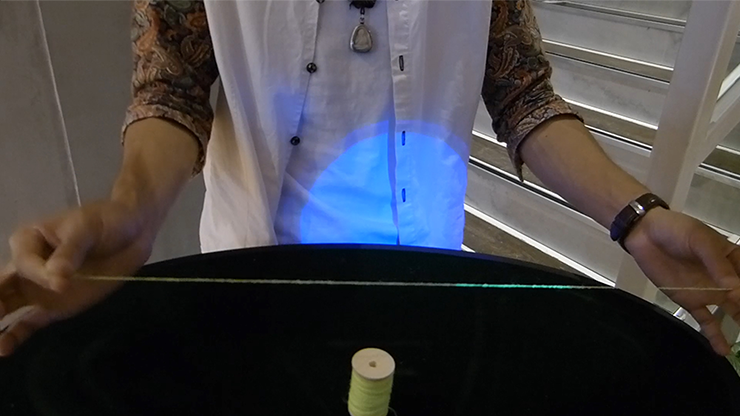 Used with a hidden ultraviolet lamp inside your suit, this amazing glowing effect delivers a mysterious yet beautiful feeling to your audience. 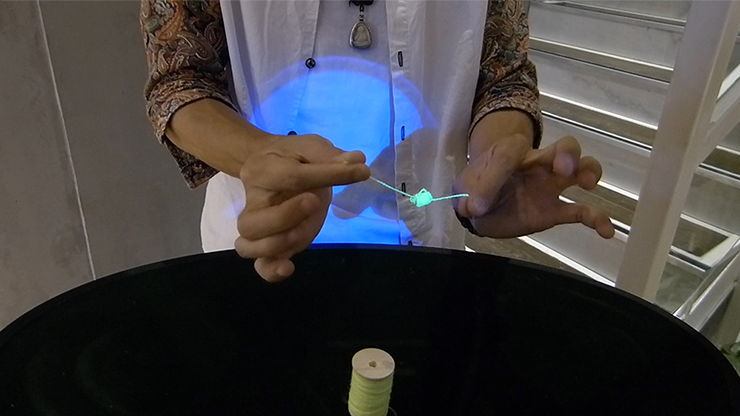 Effect: The magician pulls out a certain length of line from a roll of glowing thread. He then breaks it piece by piece, and kneads it into a ball. When it is unfolded it again, the broken line has been restored to a complete thread -- it's amazing! The technique is simple and neat. After performing, you can show everything to the audience for examination. OVER 500 FEET!!! The thread provided is good quality. And, it glows quite vibrantly under UV light. ...Unfortunately, that is the full extent I can praise this product for. 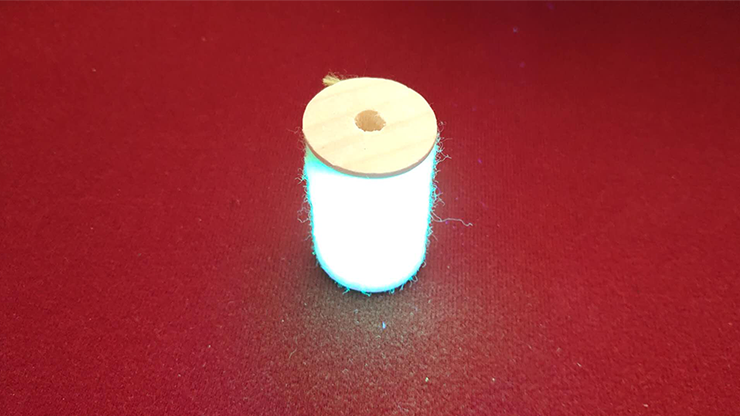 The "UV flashlight", while it technically works, it is obviously a cheap, mass-produced, chinese throw-away, worth less than $0.30, retail, at best. And, the "instructional video" leaves much to be desired. Flat, generic music plays, while the performer demonstrates the trick, without saying a single word of instruction. 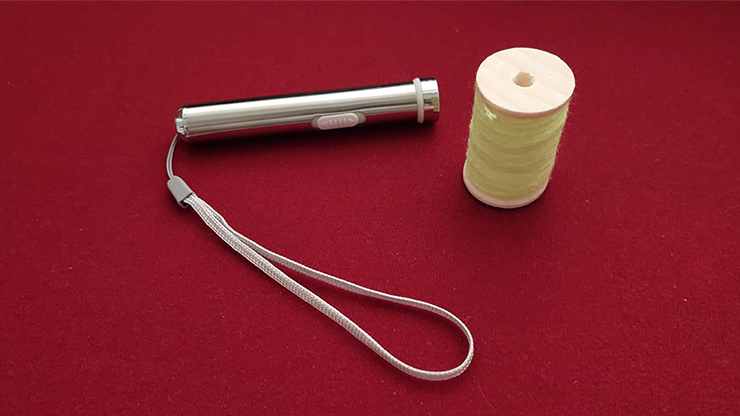 Granted, the "Gypsy Thread" is not a difficult trick to understand how to perform. But, some real input would have been prefered. It was[relatively] shot & edited, OK. It definately could have been FAR better. In the end, yes, you will learn a basic performance of the "Gypsy Thread". But, if you were hoping for an instructional, that would inspire a great performance of this trick, you WILL be disappointed. There are, without question, far better presentations of this, (available here at Penguin Magic, & elsewhere). 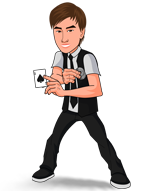 Would I recommend this version to other magicians? No. In my opinion, there is nothing in this product to warrant it's cost. 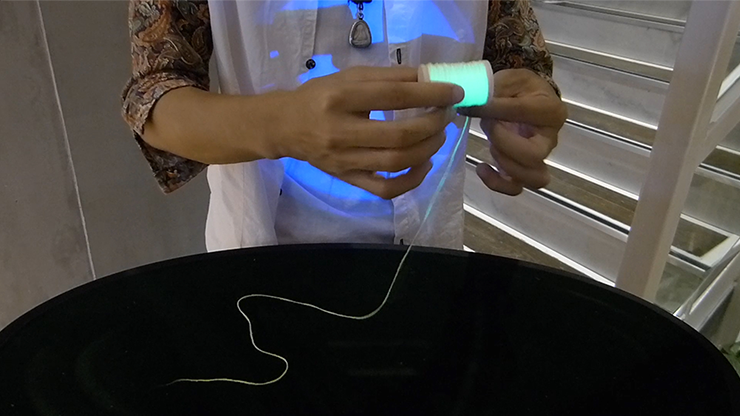 If all you are looking for is the "glowing" thread, even this you could find elsewhere, and at a far better price.